The first developer beta of iOS 6.1.1 was only seeded last Wednesday. iOS 6.1 was released to the public on January 28th. 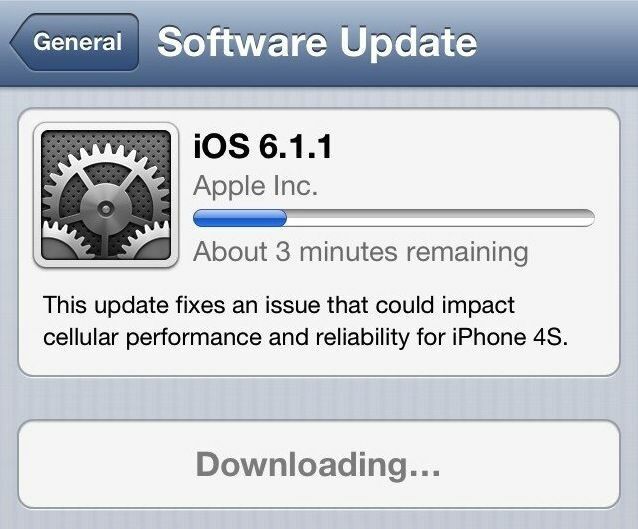 You can download iOS 6.1.1 as an over-the-air update or via this direct download link. It appears to be only available for the iPhone 4S.